There should be a question mark [ ? ] rather than a full stop [ . ] at the end of a question. 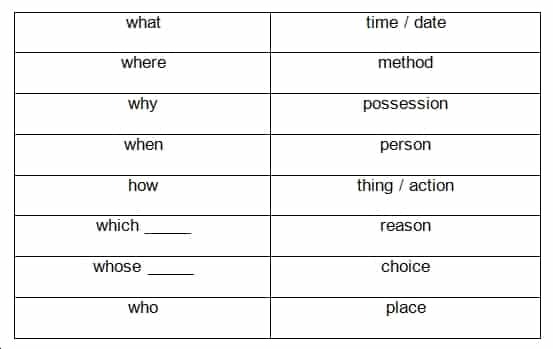 where, why, when, and who cannot be part of wh- question phrases. Note the inversion of subject and auxiliary verb, which contrasts with statements, e.g. They are going. / Where are they going? He will spend. / How much will he spend? This word order can be the hardest part of this topic for many students to accept. It may feel far more natural to put the subject directly after the wh- question word, e.g. 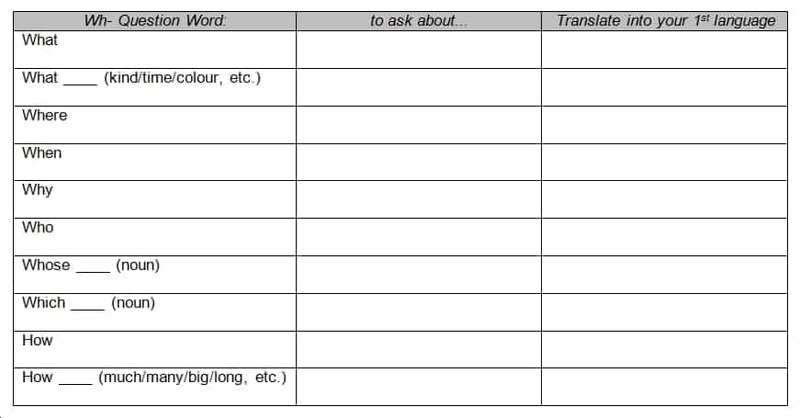 …and to delete the auxiliary verb column completely. We have to accept and use the word order above, rather than trying to make English more like our own language. We can see that infinitive form is used by three of the most common tenses. 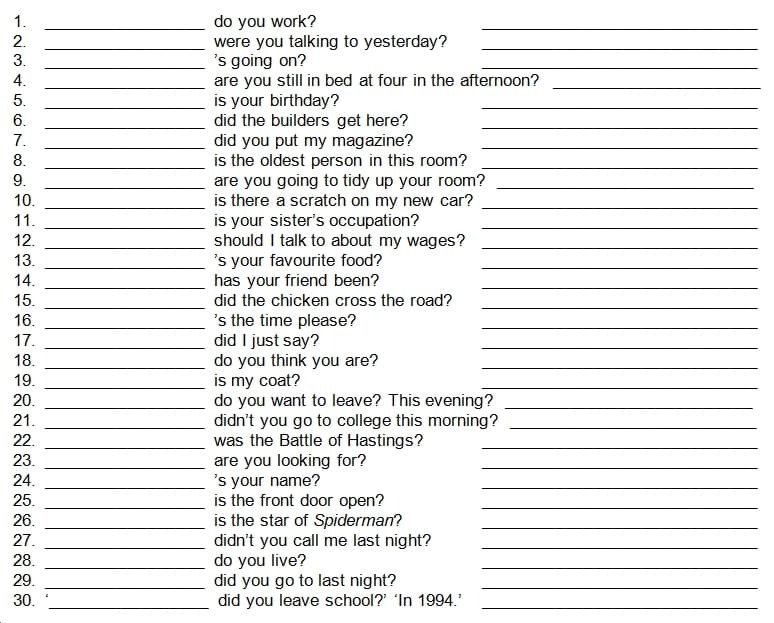 This information does not change, so if we learn it by heart, asking questions in these five tenses will be much easier. Who went to the party last night? Who did go to the party last night? Whom did you meet at the office today? Who did you meet at the office today? What did you say to Joanna? What do you want? becomes > wo_ ch Wont? What are you doing? becomes > wo_ ch Doo win? What did you say? becomes > wo_ ch Sei? Who ate a red apple quickly yesterday? John ate a red apple quickly yesterday. What did John eat quickly yesterday? I’m going out later. Where? When? I saw something funny today. What? I fixed the sink. How? I bought a new TV. Why? Ex. 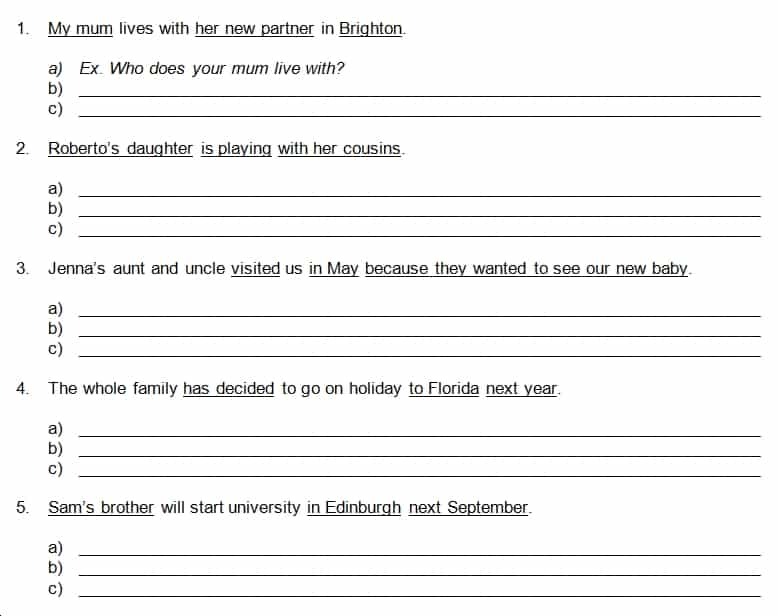 4.1.2 Reading a) Complete each sentence with the best question word. b) Write the tense. c) Write an answer to each question. Ex. 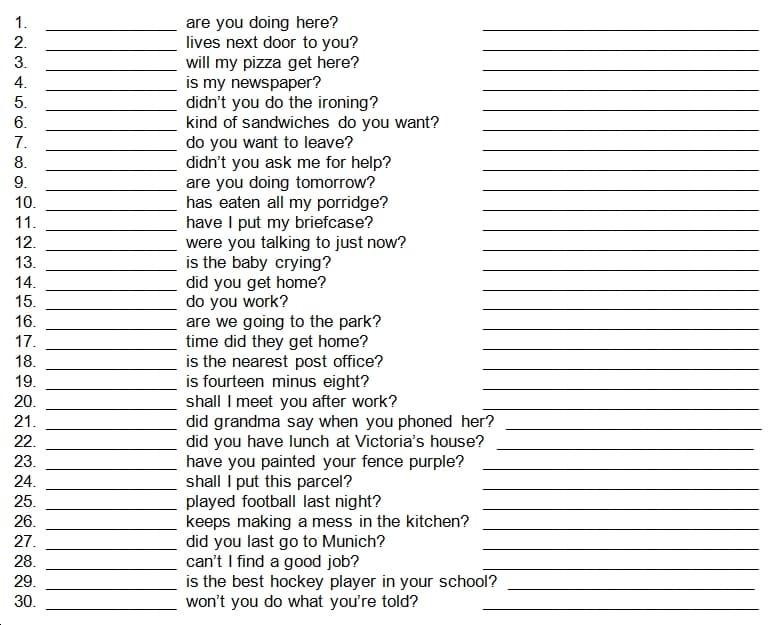 4.1.3 Reading a) Complete each sentence with the best question word. b) Write the tense. c) Write an answer to each question.